Lunchtype is a contemporary lunch-time design experiment updated irregularly on Steppot @Instagram around 13:00-14:00 (CET +01:00) o’clock daily during a #100daysproject in 2015. Learning from letters every lunch was the approach towards every post uploaded under the hashtag #lunchtype. The project aim was to embody boredom from tasteless dishes and spiritless food. A wish to recreate uninspiring lunch hours through letters forms. To be inspired by the futile to design the most uninspiring typeface of all time. Lunchtype is now a continuous typographic project. Whenever a boring lunch hour occurs, a letter form is created. 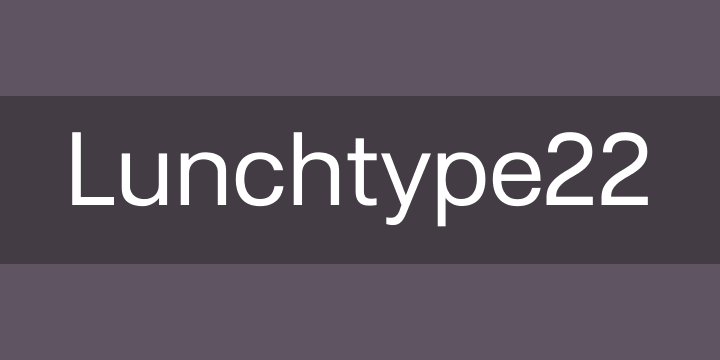 Lunchtype now consists of 25 weeks of boring lunch, free for you to download and use. — Change the website look in the header. — Find out what to eat by clicking “Food” left. — Try the typeface by clicking the bar “Try” right. — Download in the bottom. Until the next boring lunch hour, Guten Appetit!